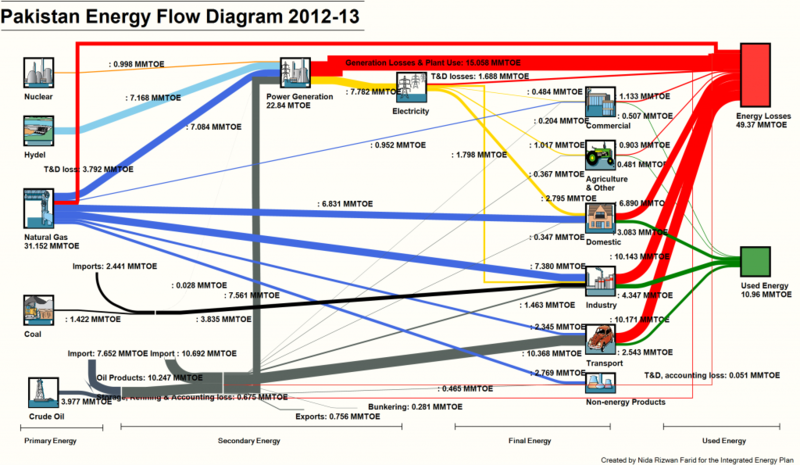 As part of my work for the Integrated Energy Plan 2015-2025 for Pakistan, I put together the first comprehensive energy flow diagram for Pakistan. After all, how can you truly focus your energy policy, if you don’t know where the bleeding is worst. My seminar audience has repeatedly asked to see this on our website, so I am finally putting it up. You can find the full article and detailed analysis here.